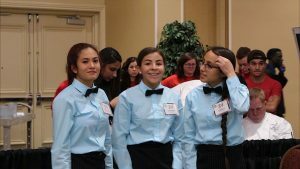 18th Annual ProStart Culinary Team Competition Results! 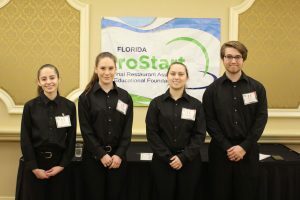 ORLANDO, Fla. (March 5, 2018) – The Florida Restaurant and Lodging Association Educational Foundation (FRLAEF) is proud to congratulate the winners of the 18th Annual ProStart Culinary Team Competition which was held Saturday, March 3 and Sunday, March 4, 2018 at the Rosen Plaza Hotel in Orlando. A total of 50 schools participated in the competition with 15 schools winning top awards throughout the day’s events. More than $1 million in scholarships was distributed to the winning schools. All winners and participants are a part of Florida’s ProStart program, a career technical education program where high school students learn from an industry-derived curriculum that teaches culinary techniques and restaurant management skills. More than 20,000 students from across the state are enrolled in the program. 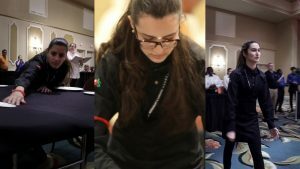 The four main event competitions included: the Johnson & Wales University Culinary Competition, The Art Institutes Management Competition, the Keiser University Edible Centerpiece Competition, and the Waiters Relay Competition. East Ridge High School in Clermont won first place in the overall competition. Tarpon Springs High School in Tarpon Springs took home second place in the overall competition, with John A Ferguson Senior High in Miami placing third. “These talented students represent the future of Florida’s hospitality industry and we are extremely proud to help support their education by awarding more than $1 million in scholarships. We are passionate about investing in these inspiring, young leaders of the trade and are thrilled to celebrate their incredible talents and pursuit of successful careers,” said Carol Dover, President & CEO of the FRLA. 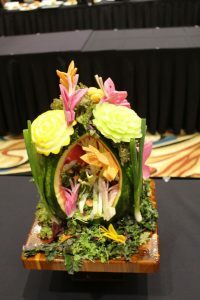 Participating teams demonstrated their creative abilities during the competition through the preparation of a meal consisting of: starter (such as soup, salad or appetizer), protein (such as meat, fish or fowl), starch, vegetable, and dessert. Participating teams demonstrated their knowledge of the restaurant and foodservice industry by developing a business proposal for a new restaurant concept. The business proposal consisted of a defined restaurant concept, supporting menu, and supporting marketing plan. Teams prepared a comprehensive written proposal, verbal presentation and visual display. 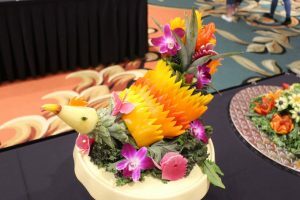 Participating teams demonstrated their creative ability during the competition through the preparation of an edible centerpiece consisting of fruits and vegetables. Contestants explained nutritional information, product availability, and preparation techniques. Participating teams demonstrated their ability to duplicate a table setting while racing against the clock. First-place teams from the management and culinary competitions will advance to the prestigious National ProStart Invitational, April 27-29, 2018, in Providence, Rhode Island.